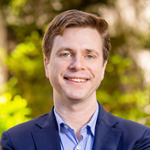 Assistant Professor of History Daniel LaChance recently appeared on Georgia Public Broadcasting’s show On Second Thought to discuss changing perceptions among the U.S. populace about capital punishment. LaChance published his first book, Executing Freedom: The Cultural Life of Capital Punishment in the United States, last year with the University of Chicago Press. Listen to the full interview here. Congratulations to Dr. Edward Hatfield, alumnus of the graduate program in American history, for being named managing editor of the New Georgia Encyclopedia. The publication, first launched in 2004, was the first state encyclopedia designed for the web. The project is run by the Georgia Humanities Council. Hatfield was an advisee of Dr. Joseph Crespino.